Parents What Are the Kids Reading? 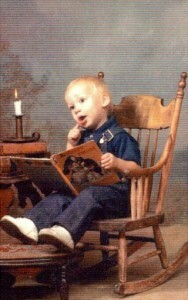 My son loved to read books at age 2. Times have changes from my youth where we read books with paper pages. We have so many movies and role play games… you know the new fangeled games we only fantasized about when we read good book. BTW: reading TEXT messages don’t count.